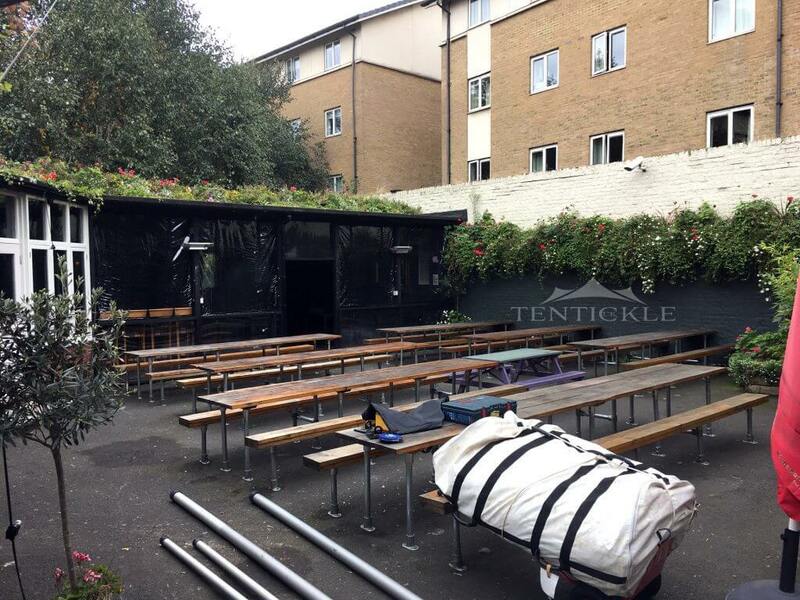 It was a nice sunny day in London and we were asked to come and do a site visit to cover a pub courtyard. It was a tricky space and we had to climb onto the roof to measure the area. Whilst up there it was important for us to check the walls to find solid bricks to fix the anchors to, to connect the stretch tent to. 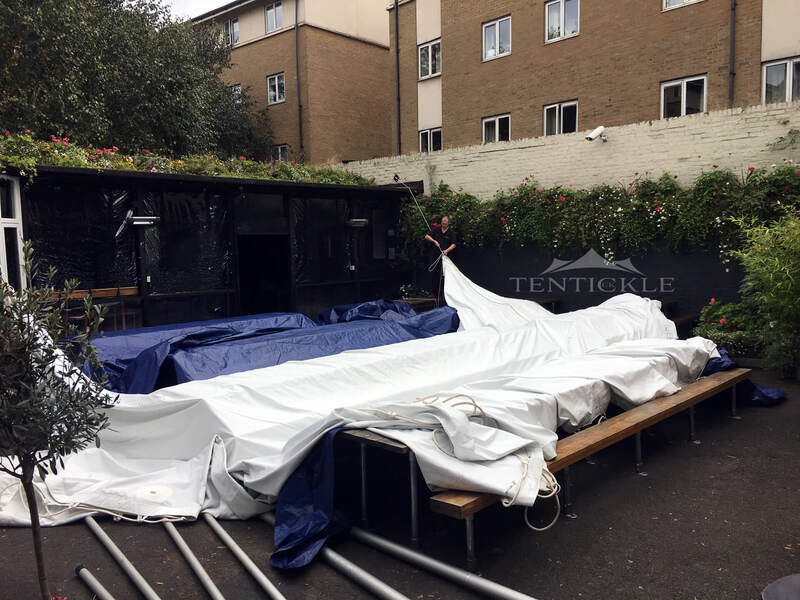 Also in the outdoor space there was an outdoor bar, which had a 3m high screen and the client wanted this covered by the stretch tent too. 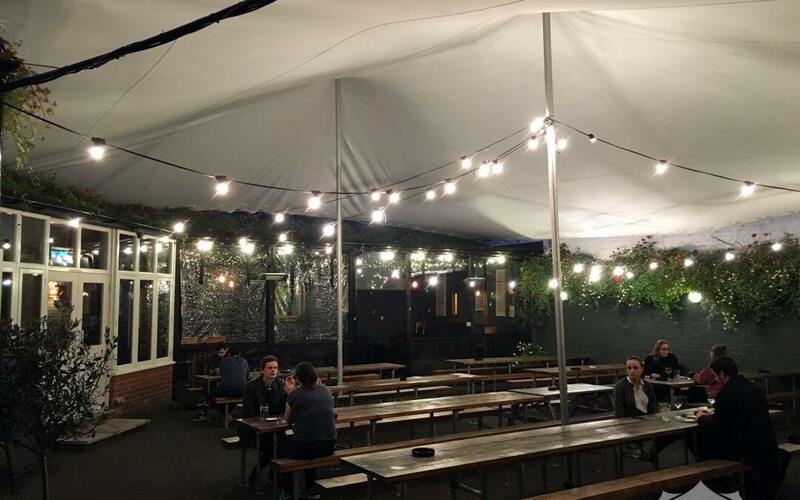 This meant that the ideal dimension to create roof above the whole courtyard including the outdoor bar was 12m x 15m. Thanks to our large selection of tent sizes in stock we were able to select the exact size. A date and time was set and the crew began preparing the equipment. Our experienced and professional crew arrived on set up day and began installing heavy-duty anchor plates to secure the structure. 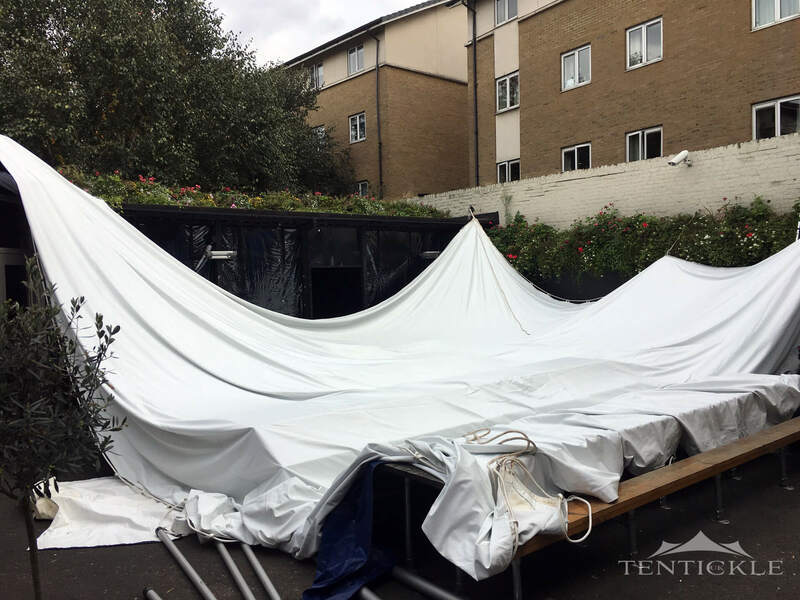 One of the challenges on the day was opening up the 150kg heavy tent in the courtyard where the floor space was considerably smaller than the proposed “roof” space. With strategic maneuvering, the tent was lifted into position and all four corners secured. 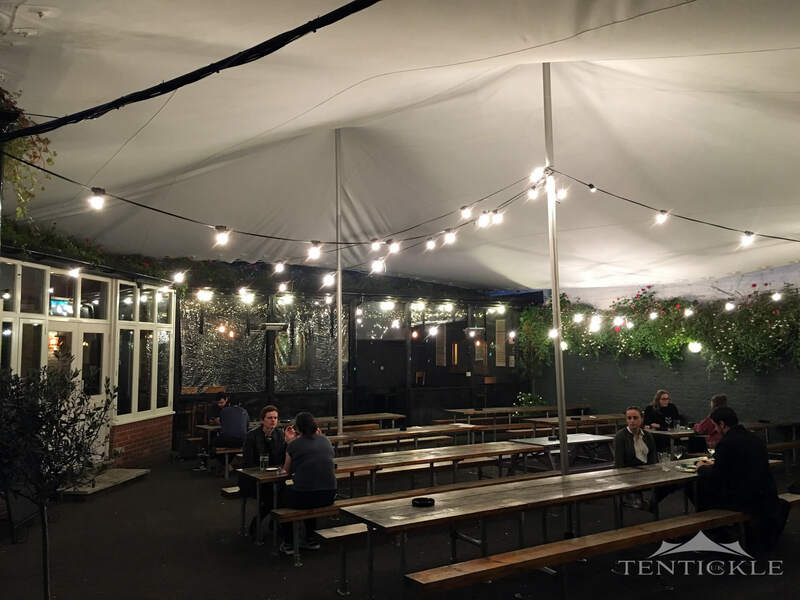 The large centre poles pushed the tent into shape creating a bright and airy atmosphere. A few hours later set up was complete and the first patrons started to explore the new covered space. The client proudly shared the exciting news on social media. The covered courtyard has brought new life to an area often redundant in winter. Happy wintry days!